According to Wiki, “Nginx (pronounced “engine-x”) is an open source reverse proxy server for HTTP, HTTPS, SMTP, POP3, and IMAP protocols, as well as a load balancer, HTTP cache, and a web server (origin server).” While everyone has heard of Apache, Nginx is also up there in popularity and together both are responsible for serving over 50% of the traffic on the internet. In terms of the top-ranked websites in the world, Nginx actually comes out ahead of Apache, powering 45% of those sites ranked in the top 10,000 by traffic volume. The reason for the fast adoption of Nginx is because of its speed; it was created to deal with the C10K problem, which was a challenge of the modern web as more and more servers had to begin handling ten thousand concurrent connections. The usage numbers indicate the reliance that folks place on Nginx to run their web services, especially those with the highest amount of traffic. It’s a proven, reliable tool. But as with any application you should always make sure things are running as smoothly and securely as possible. 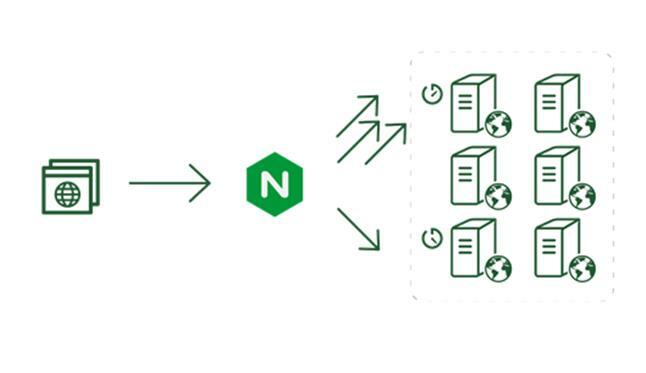 Here are 6 best practices that will guarantee you’re getting the most out of your Nginx setup. To find out how many processors you have in your web server, run the following command. In this case, the output number shows 1 core CPU. It is common practice to run 1 worker process per core, so in this case you should set work processes to 1 for the greatest performance in the Nginx configuration file. Worker connections tells worker processes how many clients can be served simultaneously by Nginx. The default value for this is 768 but it’s important to keep in mind that each browser will usually open at least 2 server connections. The maximum number for the worker connections setting is 1024 and it’s best to use this to get the full potential from Nginx. On this basis then, assuming 1 core for each worker process, setting worker_connections to 1024 implies that Nginx can serve 1024 clients/second. Once that file is in place you simply restart your server and you’ll now be serving site assets with gzip compression. In this example, all .jpg, .jpeg, .png, .gif, .ico, .css, and .js files get an Expires header with a date 365 days in the future from the browser access time. If you’re looking for best-in-class website and server monitoring and performance tracking then you need to head over to Monitis. With its industry-leading global service, Monitis lets businesses monitor the heart of their infrastructure anytime and from anywhere. If you want less worry and hassle, then why not monitor your Nginx servers with Monitis? Imagine being able to get first-hand optics on your server health and performance in a cloud-based environment, so you learn about potential problems before your customers find out. By keeping your server infrastructure running smoothly and more effectively, Monitis alleviates the stress and helps you focus on running your business. If you’re serious about server performance, and especially your Nginx environment, then go on over to Monitis today and start a free trial. One you see the benefits of the Monitis monitoring platform, you’ll be glad you did! Monitis Launches On-demand SOAP Testing Service. Monitoring: Via the Cloud or Open-Source Tools?